I have officially been subscribed with Ipsy for a year. Lately I have been debating if I want to keep my subscription or cancel. I only signed up month to month, so I can cancel at any time. I think I may see how this month goes, and December and officially make my decision then. It's so nice to get little packages in the mail every month, but products add up and things don't get used. Ipsy has released two sneak peeks so far. I will add on the others once they get released! 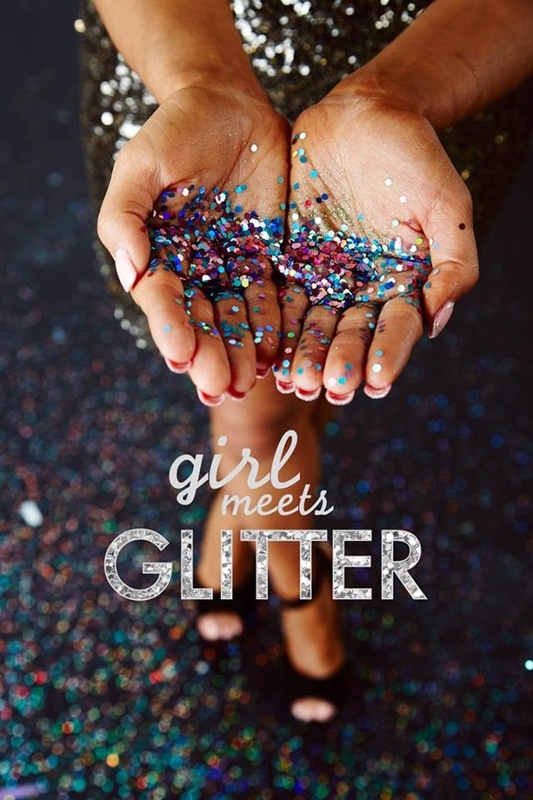 The theme for November is Girl Meets Glitter. This could be fun. Sneak Peek #1 - It's the BAG! Ipsy never shows the bag first, so they have changed things up this time around. I honestly like the bag. It has pink, it's silver, and it's glitter. Love it! 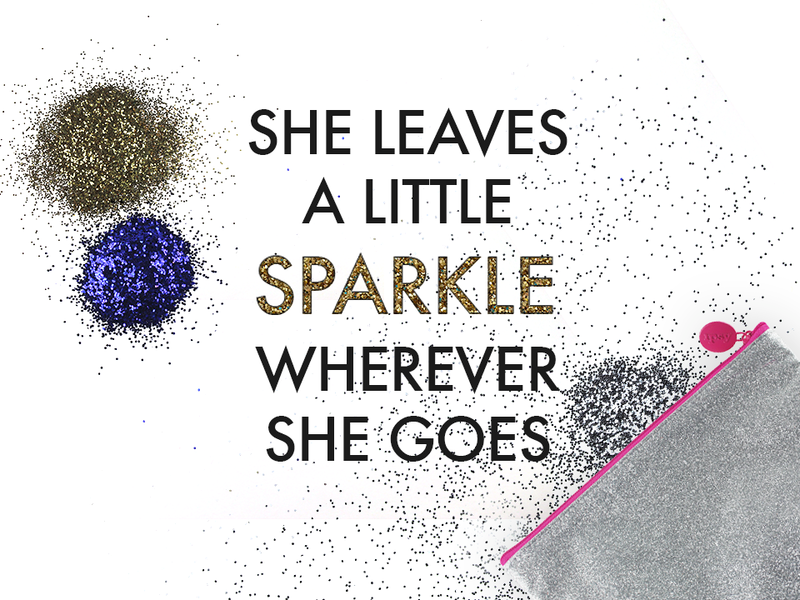 However, I hope it's not loose glitter on the outside of the bag, because that's just a huge mess. I'm hoping the glitter piles are also just for the photo. 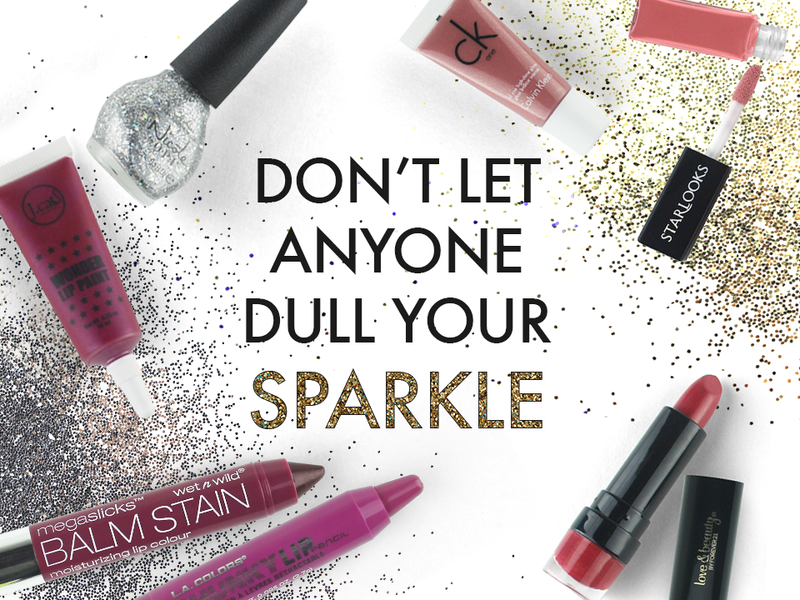 No loose glitter please. They all seem to be the same price range, which is good because then it doesn't cause huge bag envy amongst everyone. Personally from this sneak peek, based on colours, I'd pick the Love and Beauty Lip Stick. I really like the Wet and Wild Balm Stain and J.Cat Wonder Lip Paint, but I would be afraid that they would be too dark for me. There's nothing bad in this spoiler though. Except the Starlooks. I got it last month, and it's a nice colour and not sticky, I just don't want a repeat. Sneak Peek #3 - We've got eye products this time. From this one, I'd like the liquid eyeliner. 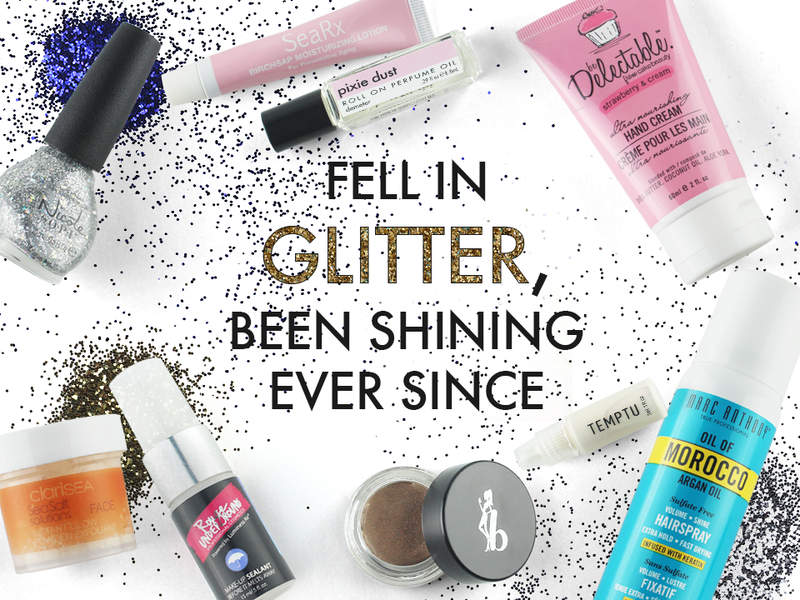 I'm not a fan of BaB products, and I got starlooks last year, which I don't use. Ipsy gave everyone an early sneak peek. So, I now know what I'm getting, however I'm waiting on posting my glam room until all of the sneak peeks are done. Temptu highlighter - this is marketed for an airbrush system. Not sure why they would send it. 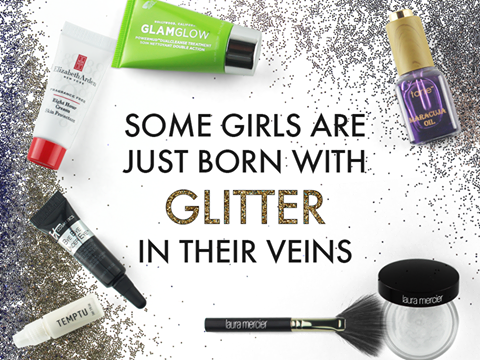 Ipsy has stated though that it can be applied with a brush, sponge or fingers. From this sneak peek, I'd like the Glam Glow, but I got the tinglexfoliant a few months ago, so getting it again is very very slim. I'd want the oil too, because my skin has been so dry, I'd like to try a new oil out. Plus, I've never tried Tarte products before, and I've heard great things. Sneak Peek #5 - LOTS OF REPEATS. On Ipsy's page, they say all members will get TWO of these items. From this specific spoiler, I'd like to try the perfume. I know I don't have perfume selected, but this scent sounds like it would be perfect for me. I'd also like to try either of the exfoliants. As you can see, I'm getting the Be a Bombshell Eye Base, Elizabeth Mott you're so FINE Eyeliner, J. Cat Beauty Wonder Lip Paint, Marc Anthony Oil of Morocco Argan Oil Volume Shine Hairspray, and Temptu S/B Highlighter. Looking back from Sneak Peek 1 (the bag) I will be getting from Sneak Peek 2, the J. Cat Beauty Wonder Lip Paint, which I wanted to try - DEPENDING on the colours. Ipsy is sending one of two colours. Between these two colours, I would prefer the one on the right. It's more of a lighter red. The one on the left looks like it would be way too dark for my complexion. In Sneak Peek 3, I will be getting both the Elizabeth Mott liner, and the BaB Eye Base. But because that Sneak Peek said we would only receive one item from that spoiler, mine would be the liner. And that's what I really wanted from that one. In Sneak Peek 4, I really wanted the Glam Glow but knew I wasn't going to get it, so that was expected. The next thing I really wanted was the Tarte Oil, but I knew it was a popular item so again, getting it was slim to none. From this particular spoiler I'm getting the Temptu highlighter, which I don't want. In the last Sneak Peek 5, I wanted to try the perfume, based on the description, or one of the exfoliators. My luck wasn't good and I got the unwanted Be a Bombshell Eye Base, and Marc Anthony Oil of Morroco Hairspray. It looks like a lot of people are getting these, so I guess they were just sent a lot. I agree, it would be much nicer if you could actually select the products you'd like to try! 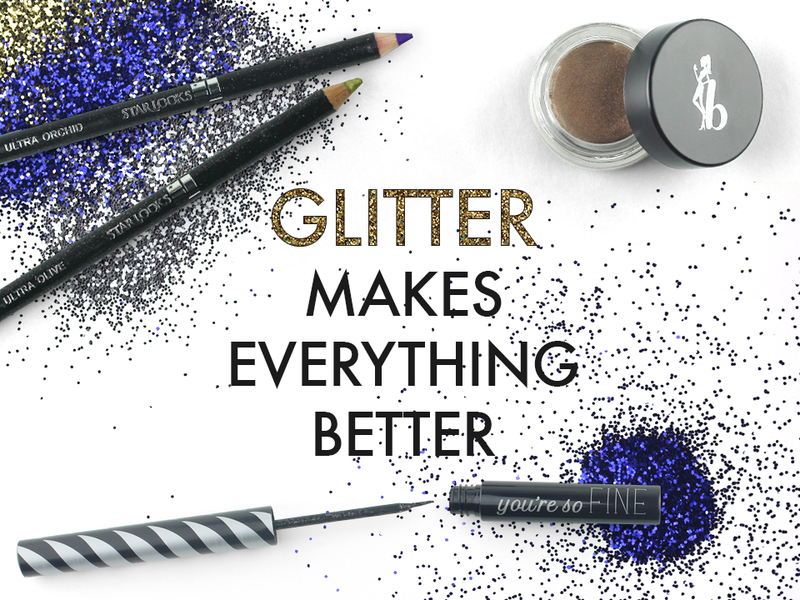 Glitter on eyes, lips, nails, cheeks makes them really astounding and lovely.